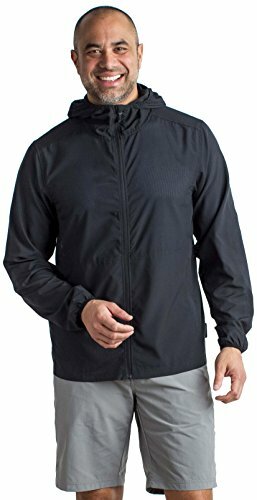 Versatility is the word for this urban-friendly design that combines All-over ventilation with bug protection in one cleanly styled jacket. The lightweight fabric has subtle pinholes for All-over venting, keeping you cool and casual for the museum or an al fresco dinner. Features such as an adjustable, peripheral vision hood with draw cord and zippered security hand pockets make for worry-free travel. Bugsaway apparel is treated with Insect Shield, giving you invisible, odorless protection just by putting on your clothes. The treatment binds permethrin to fabric fibers for the life of the garment, so it stays in your clothes-not on your skin-and lasts through 70 washes. It's effective against ants, flies, chiggers, midges, and ticks, as well as mosquitoes. If you have any questions about this product by ExOfficio, contact us by completing and submitting the form below. If you are looking for a specif part number, please include it with your message.